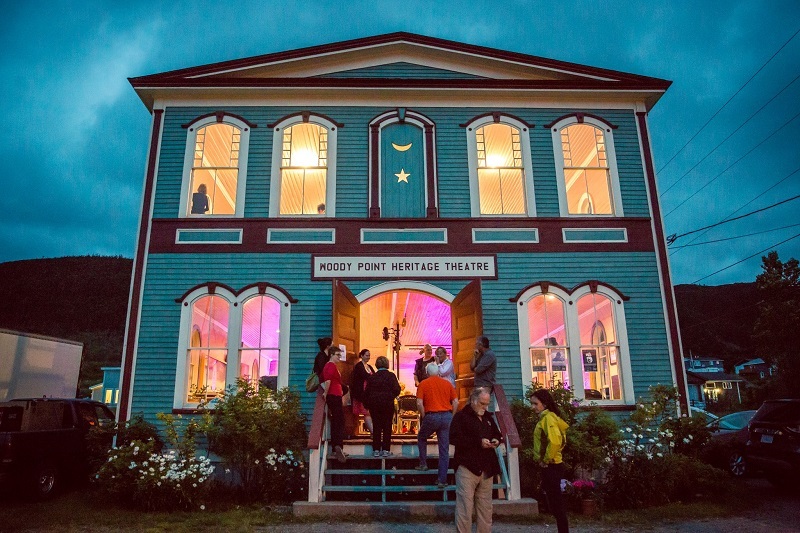 With Writer's Festival being the most hectic, chaotic time of year for Woody Point, we here at Galliott Studios look to provide you with a few tips and general guidelines to stay awake and enjoy yourself during your time spent at the festival. Even though the festival has already begun, it's not too late to schedule the rest of your week. To alleviate the stress of choosing your events for each day, pick them in advance! 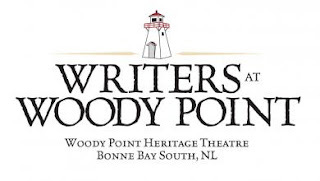 For booking tickets, all you need to do is go online to the Writer's of Woody Point website (http://www.writersatwoodypoint.com) and book your tickets! The ticket portal can be found in the upper menu bar. By doing this, you save yourself the last-minute confusion and panic of trying to decide on one of the shows going on around town. It's also wise to pace yourself: don't try and attend too many events in one day, else you'll be gassed the following morning and won't enjoy anything upcoming. One essential for absolutely everyone at Writer's this week? Staying hydrated. And no, alcohol doesn't count, either. With all the action and excitement throughout the day, it can be easy to forget to meet this daily essential adequately. You'll need the standard two litres plus some to stave off the negative affects of dehydration. If you have a day where you're running around from dawn 'til dusk, the more the merrier. Especially with all the amazing beer and coffee available throughout the town, compensating for the lost moisture in your body is key. The same rule applies to staying fed; eat at least three meals a day to stay fueled up and ready to party! A healthy balance of proteins, carbohydrates, and fats is recommended. Another bare necessity that often garters less attention during this busy time, this one's critical if you plan on making it to the halfway point of the week without sleep deprivation. While you're tempted to stay out that extra hour or two into the morning, or to have that last drink or three, attempting this early on in the week will spell doom for your alertness. Save these late nights for the latter end of the festival, or pick and choose which nights you'd rather lose sleep on so you can compensate later. Either way, if you don't manage your sleep, you won't be able to handle Writer's Festival for long without conking out for a 4-hour nap at the wrong time. Believe me, it's happened before. This tip is a little more abstract and harder to obtain, but nevertheless, just as important. Sometimes, with how busy the week can be, it's difficult to stay focussed on the main objective of the festival. Don't get too caught up with planning your trip too specifically (hourly plans may be taking it a bit too far) that you don't enjoy the content displayed. Likewise, focus on enjoying the festival as a vacation to rejuvenate yourself. All the great music, intriuging readers, and dramatic performances each offer something unique for you to enjoy. Writer's Festival has a focus on incredibly social events. To get the fullest from your experiences, it's best to get out there and talk to everyone! The spirit of rural Newfoundland seems to imbue all the attendees, so many people will be more than welcoming of a chat. Plus, events will be much more enjoyable when you're experiencing it with people you know! Especially if you plan on attending the festival for years to come, getting familiar with regulars will assure you always know someone - and even have a free place to stay - during this busy week. Finding that no matter how much you sleep at night, or how well you pace yourself throughout the week, you're still tired? There's an easy, locally-available fix to that: Galliott Studios coffee! While no permanent fix, the espresso and caffeine in some of our beverages will give you that temporary boost to get through the next few hours. It only helps it's irresistibly delicious, from avid coffee lovers to the novice. If you follow these basic guidelines to Writer's Festival, you should escape Woody Point with no deteriorations of mind and body, an uplifted spirit, and a few amazing experiences under your belt. Enjoy your Writer's Festival, and be sure to send our Instagram (@galliottstudios1) your favourite festival photos! It's getting close to the busiest, most exciting time of year again in Bonne Bay: Writers Festival! Facilitated by Writers at Woody Point, this is the pinnacle of the summer for us, and is when we hold the highest number of events (and have the most fun!). Writers and musicians from all over flock to our charming little town to participate and display their work, all for us to enjoy. 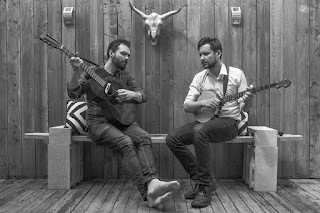 The full schedule for the week can be found here (http://www.writersatwoodypoint.com/schedule/) if you're interested, but below i'll be going into greater detail regarding some of the Galliott Studios-specific events - some of which that may not be on the official schedule. We've got all kinds of entertainment to keep you occupied this upcoming week! Wednesday, August 16th - On the second official day of the festival, Galliott Studio first hosts an event. Following the second portion of the opening concert, Jen is hosting late-night karaoke that begins at 11:30 PM. If you're looking to continue the party late into the night, there's no where else better than singing your heart out with us! Thursday, August 17th - Thursday morning kicks off a series of morning readings by various individuals throughout Writers Festival. Our premier speaker is Susan Perly, a Canadian journalist and fiction writer. Her work has gotten her on the longlist for the Scotiabank Giller Prize and given her national recognition, while she herself has worked with organizations like CBC Radio. Her reading is sure to intriuge anyone with a curious mind. Friday, August 18th - The halfway point of the festival is kicked off with another reading; this time from Eva Crocker, who is best known for her most recent publication, Barrelling Forward. From an author who's newest work has drawn outstanding praise, be sure to expect a good story or two! Later in the evening, we're also hosting a musical performance by Steve Maloney, a performer native to Newfoundland. 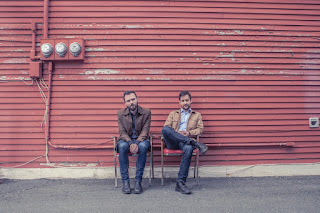 Steve's first release with his group Steve Maloney and the Wandering Kind, succeeded by an Eastern Canada tour to numerous music festivals, drew the eyes and ears of the east coast music scene. In 2014, he was awarded the Rising Star of the Year award from MusicNL, and hasn't disappointed since. Steve's earned a reputation as a musical chameleon with a velvet voice. 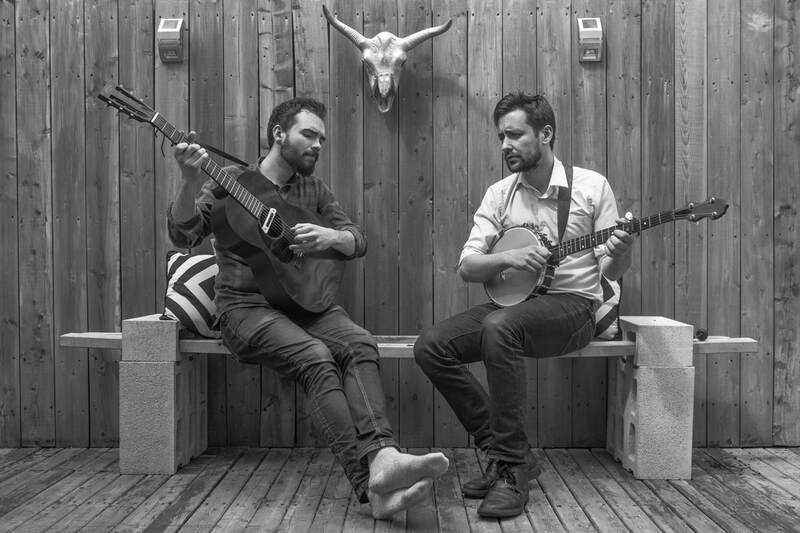 While he tackles folk, classical, and contemporary pop music, the one link between his music is rich and soulful delivery. He currently has another album under construction, so why not stop by and see if he gives us a preview? Price is to be determined, so stay tuned. Saturday, August 19th - Another day, another reading at Galliott Studios! This time around, we have Dennis Lee, doing a kid-friendly reading! From the highly-acclaimed author of Alligator Pie, your kids are sure to enjoy whatever is in store. Later in the afternoon - around 2:00 PM - we're glad to welcome Anita Best and Sandy Morris back into the Studio for yet another musical exhibition. 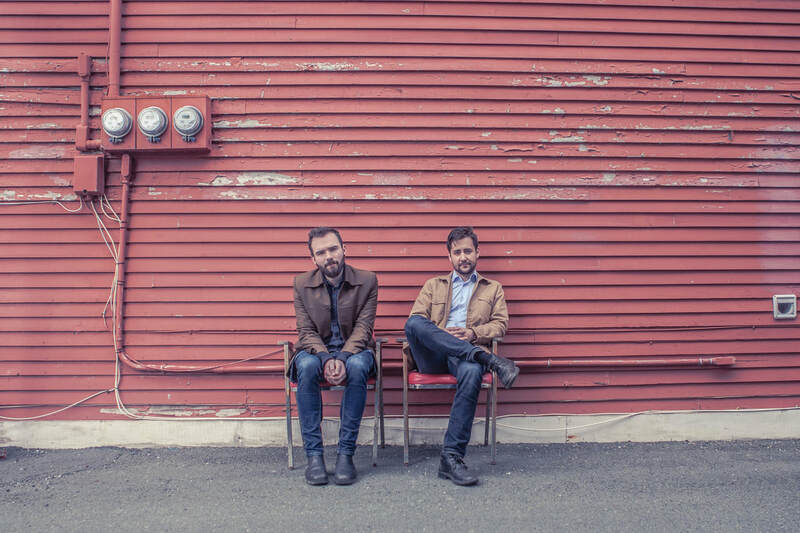 From some of the mainstays in Newfoundland's music scene, you're sure to recieve an amazing performance. Sunday, August 20th - The final morning reading at the Studio is facilitated by Robert Chafe, a Canadian playwright who's long list of works garnered him numerous awards and reknown. Robert's creative touch is sure to make an interesting showing for all ages. Last but not least, a collection of local writers are completing another reading, beginning around 4:00 PM. While the participants of the latter reading are unannounced as of yet, it's sure to be yet another outstanding selection. Excited yet? Be sure to tag us on Instagram if you make a Writers Week post @galliottstudios1. Need any more information about our hosted events? Feel free to contact us through any of our media platforms, our by calling us. We're so excited to bring these events to you, and can't wait to see you stop by! Can you believe we're already starting August? It seems like only a short while ago we were opening up for the summer season! Nevertheless, that only gives you a better reason to get out and experience all there is to offer. 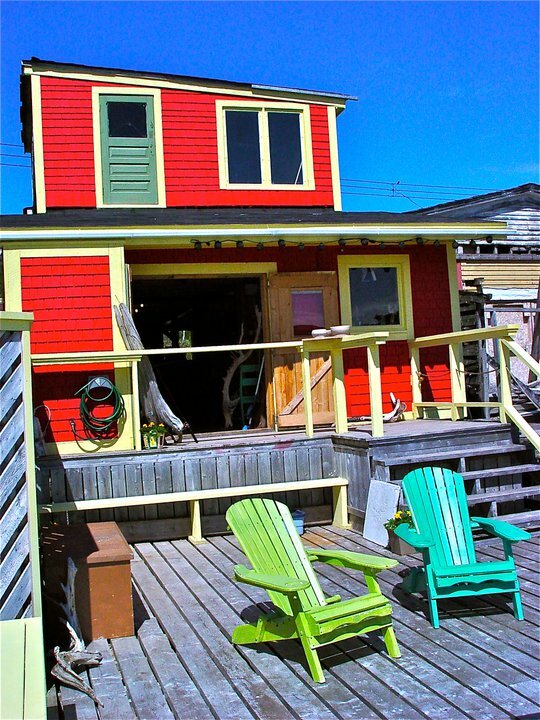 First up, if you're just visiting Gros Morne, why not leave with a handcrafted memory? Jen and the girls in the shop are always hard at work making new pottery items for you. Our jellyfish are especially frequent sellers, and as was previously mentioned in an earlier blog post, it's our goal to spread them around the world, and find out where they are. But, besides the project they are a part of, these ceramic creatures make a perfect decoration to any reading nook, dorm window, or anything in between. Fresh-from-the-kiln mugs are also constantly in production, though sell out almost as fast as they're made. And of course, there is always the medley of local artwork, food products, and clothing for sale. Excited as we are for August? Be sure to enjoy it while the days are still sunny and warm!